So so warm. That’s the thought that kept rolling through my head as I drifted off to sleep on a brisk 20 degree night under high winds on an exposed peak. The Sierra Designs Mobile Mummy is designed to be more of a garment than a body sack. A full frontal zipper with draft collar runs most of the length of the bag, right down the chest for a jacket like entrance. The hood is free of toggles or cinches, instead fitting around the head like a hooded jacket. 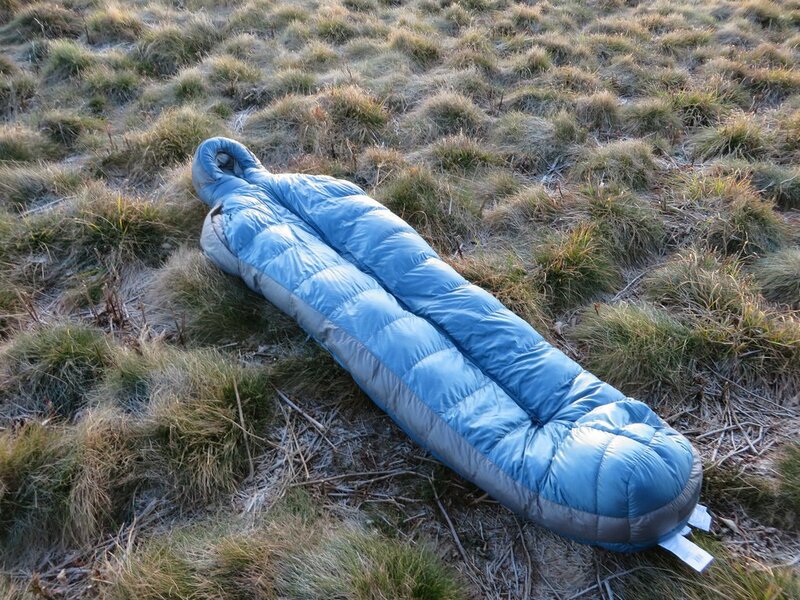 The sleeping bag includes two – arm ports, so you can slide your arms out in the night to grab a sip of water, or cook breakfast in the morning without leaving the warmth of your bed. There is also a zipper-less port on the foot box, just in case you’d like to slide your legs out for venting or a late night jog around camp. The bag comes in 2, 3, and 4 season varieties (a measure of warmth), and are filled with a high quality 800 fill DriDown. The exact bag I reviewed is the “4 season” mobile mummy, which has a comfort rating of 17 degrees. 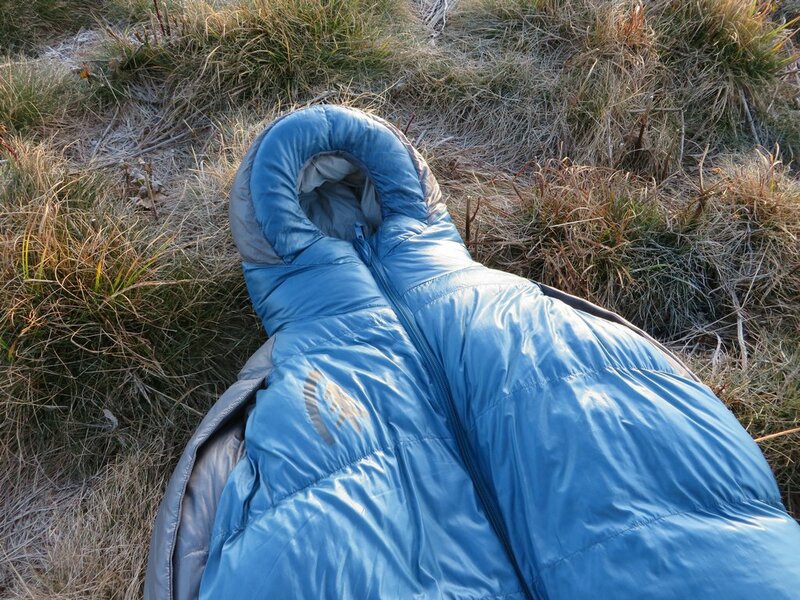 The Mobile Mummy is by far the warmest 15ish degree sleeping bag I’ve ever tested. Even bouncing around the lower limit of the sleeping bag, I found myself leaving the chest unzipped most of the night. A full body radiating heat filled the bag all night long, even keeping my chronically chilly toes toasty. I never found a cool spot, or felt a single draft, even around the arm ports. The hood fits great around the face, completely sealing out any cool air that might try to slide through. It’s nice not having cords or cinches bouncing around your face as you toss and turn during the night. 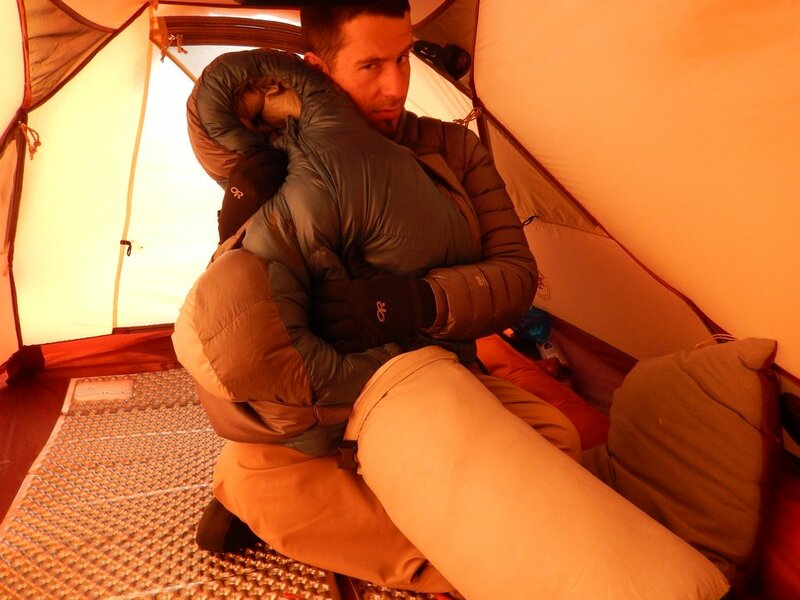 The arm ports come in super handy when reading through a late night, or simply digging for things around your tent during the night after the temperature drops. There is no need to unzip, so all the heat stays inside your sleeping bag. The sleeping bag stays right with you all night. I was able to toss and turn, not once even getting the tiniest bit tangled up. It’s just like wearing a jacket. When I moved, it came along for the ride. The bag fit great, giving just enough room to curl up or straighten out without feeling restrictive, which is unusual being in ultra-efficient mummy shape. The zippers slide super smooth, never causing any hang ups, and the materials overall felt great on the skin. Even while super warm, I never felt clammy or sticky inside. Unzipping the chest for venting at first feels odd, but quickly proves to be more efficient, keeping your easily chilled limbs warm while releasing heat directly from the source. Having the zipper right on your chest also makes it very natural, and accessible. Instead of reaching around and fighting your zipper at an angle, it’s easily accessed right where you hands can reach. This bag leaves me with little to complain about, which bugs me. The design, like more traditional mummy designs, is best used for cooler nights and may be a bit overkill for warmer weather. On warmer nights, venting with the mobile mummy can be a little weird. You can turn it over and use it like a blanket, which works well, or you can unzip the bag all the way down the chest. It takes a little getting used to, but works great. The Mobile Mummy from Sierra Designs has proved to be yet another innovative piece of backpacking equipment. 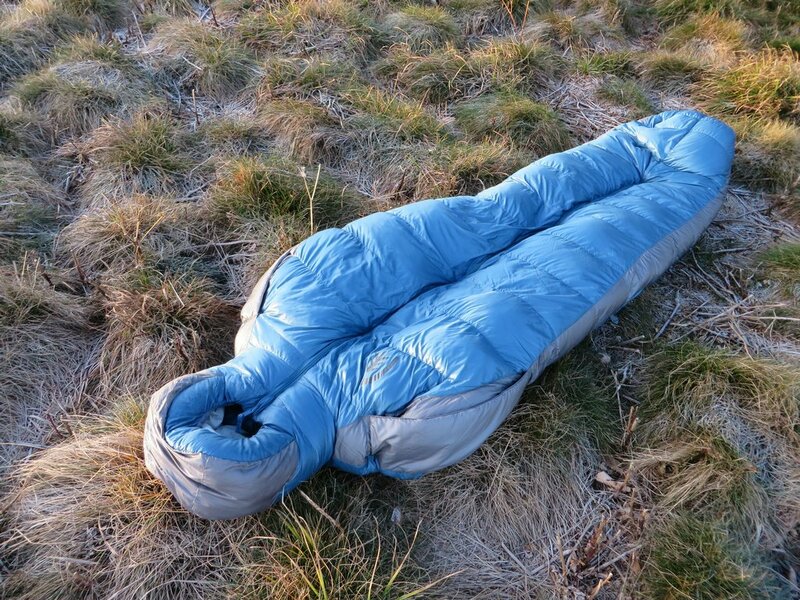 Taking a bold new direction with sleeping bags, they threw out just about every standard of design used in modern bags, and it worked.The full frontal zipper, while taking some getting used to, is a clever idea that focuses directly on the problem. Having your arms free on a below freezing night without unzipping your bag is a wonderful innovation. The Mummy is smart, efficient, comfortable, and incredibly warm. I cannot recommend a sleeping bag more. Do you get your gear for free to review or do you pay for them? FCC requires a disclaimer if the gear is given to you by the manufacturer. Hefty fines. Some of both. We make sure to mention it whenever it’s been given for free. We have full disclosure on our about me page. If you have any questions about it, let me know!